I haven’t been out on Black Friday to shop in years, possibly decades, but I’ve found that it can be fun to be out in the hustle-bustle if I’m doing something other than shopping. This afternoon I went to Northgate Mall with a sole purpose: to sketch Santa. 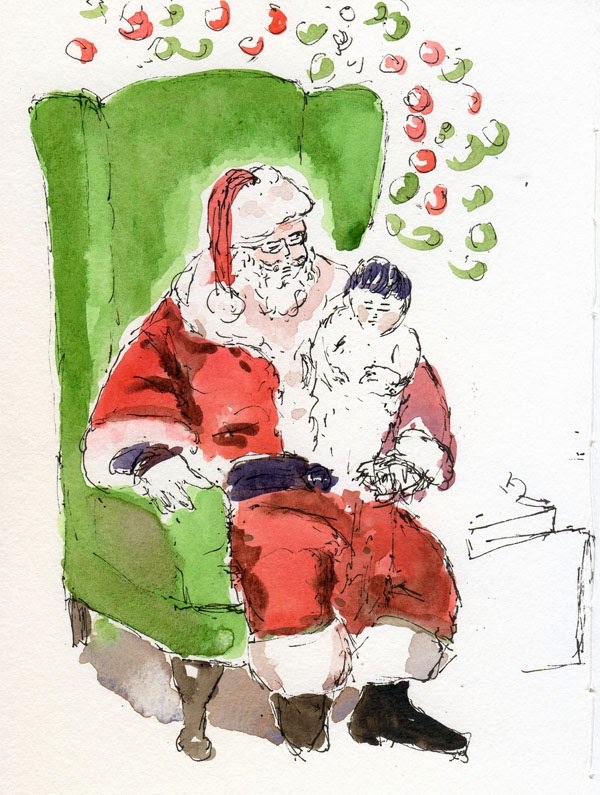 I had so much fun sketching Santa last year that I captured him twice – first at Northgate and then at Pacific Place. But surely I see more than two Santas in any given season; I’ve challenged myself to top that record this year. Today might be the busiest day of the year for retailers, but Santa looked bored. I passed by him twice without any clients. On my third pass, a reluctant little girl was on his lap, refusing to smile, so I grabbed my opportunity. As has happened each time I’ve sketched Santa, his client was long gone before I finished sketching her, and then Santa went on a break. 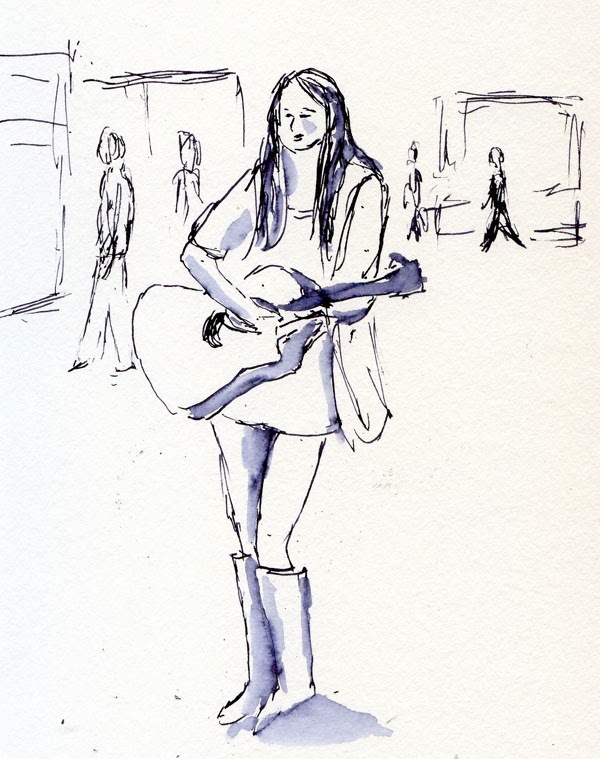 On my way out of the mall, a young busker named Sarah Emerson was raising money for a trip to Ghana next summer to work in an orphanage. It felt good to know that the only money I spent at the mall today was the dollar I put in her bowl. Fun sketches from the mall. I didn't even go near the mall, and will probably just go to mostly local stores today for Small Business Saturday. Two local towns here are having events going on thru the day, so maybe I can capture a sketch or two while I am out. Enjoy the day!